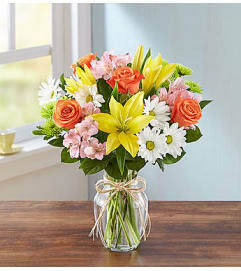 A gift of this custom bright bouquet is sure to show her she's the "Best"! 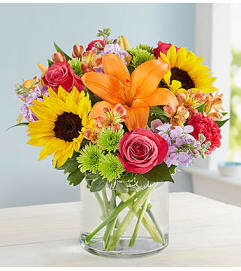 With its vivacious springtime combination of fresh blooms in upbeat hues of yellow, raspberry, purple and green, it’s a smart choice for a moms, nurses, teachers or any thank you or celebration where a simple but colorful bouquet is just right. 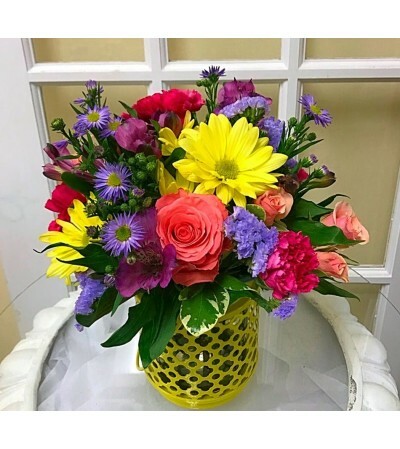 Presented in a keepsake vibrant yellow lantern that will be cherished for years to come.